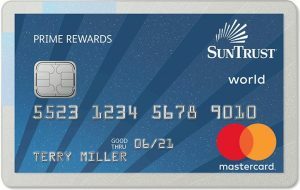 SunTrust Prime Rewards Credit Card balance transfer offer of 3 years at prime interest rate (currently 5.50%) with NO balance transfer fee is unmatched anywhere else. Most banks offer introductory rates of 0% APR, but for a much shorter time frame and with transfer fees of 3% or more. Importantly the funds must be transferred within the first 60 days of account opening. As an alternative to a balance transfer SunTrust offers a whopping $100 statement credit when new account holders spend $500 on qualifying purchases within the first 3 months with their new card. Be very careful not to mix credit card purchases with the transfers, because transfers may be treated as purchases and subject to the purchase interest rates. The Prime Rewards cards earns 1% rewards on eligible purchases, with a redemption bonus for SunTrust accounts. Prime interest rate on balance transfers for 3 years from account opening. Currently 5.50%, but check here for updates. For application and important details visit the SunTrust Prime Rewards card web page. For people not familiar with the Atlanta origins of SunTrust, in 1919 as Trust Company of Georgia, it provided underwriting services to The Coca-Cola Company and received $100,000 of the company’s first publicly traded stock for its services. In 2012 SunTrust sold those shares for nearly $2 billion: its stake went up in value by 1,999,990% over those 93 years. 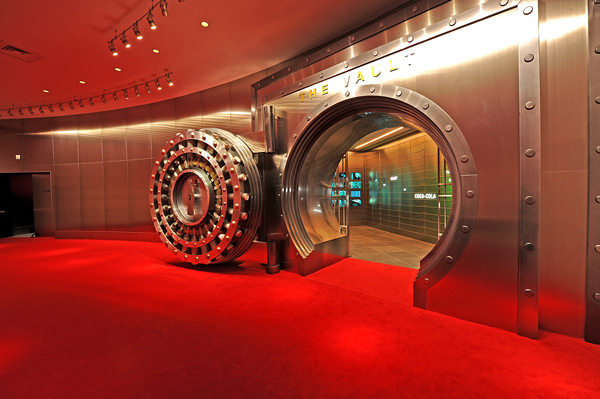 A little known fact was the secret formula for Coca-Cola was kept in a SunTrust vault until 2011, when it was transferred to the new World of Coca-Cola building in Atlanta, Georgia. Originally established as the Citizens National Bank, today VeraBank is dedicated to serve as the preferred financial services provider in its marketplace. Ultimate customer satisfaction and care sets VeraBank from the others, as explained by the guiding principles established from its very inception. 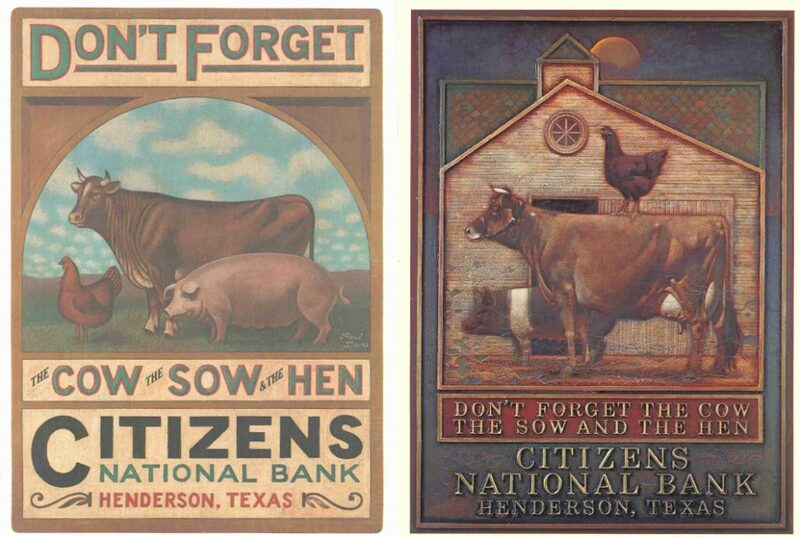 In the old days in this part of the country, if you had a cow, a sow, and a hen, you could survive. From the cow came the milk and butter; from the sow the bacon, lard, and hams; and from the hen, eggs. Read the terms and benefits below carefully to judge whether the VeraBank Mastercard should be part of your financial well-being. For application and important details visit the VeraBank credit card web page. Earn 5 Sony Reward Points on entertainment purchases such as digital streaming and subscription services, music and video downloads, and more with the Sony Card. Meant for heavy-duty online entertainments users and die-hard Sony customers, the Sony Card doesn’t as well as other general purpose cashback cards. The Sony Reward Points can only be redeemed for Sony products, so it’s great to add to your Sony collection, but not much else. But if you love to get Sony gear such as headphones and other electronics at a discount then this card is built for you. To redeem the Sony Rewards, per the disclosure form, the cardholder must join the Sony Rewards program. Capital One is a proud participant in the Servicemembers Civil Relief Act (SCRA) which provides financial relief and protections to eligible military personnel serving on active duty. For details and application visit the online Sony Card from Capital One page. 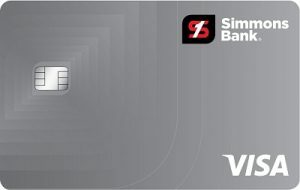 Simmons Bank Visa Card features no annual fee, low-interest rate and no fees on balance transfers. A simple no-frills everyday credit card for people who want to keep their finances as simple as possible without the headaches of dealing with mega-banks. For details and application visit the Simmons Bank Visa Card web page.